One of the terrible habits I have is the inability to leave things be. Later this month I'll be officially changing roles at the day job and, as a result, have been promised a pretty beefy computer. 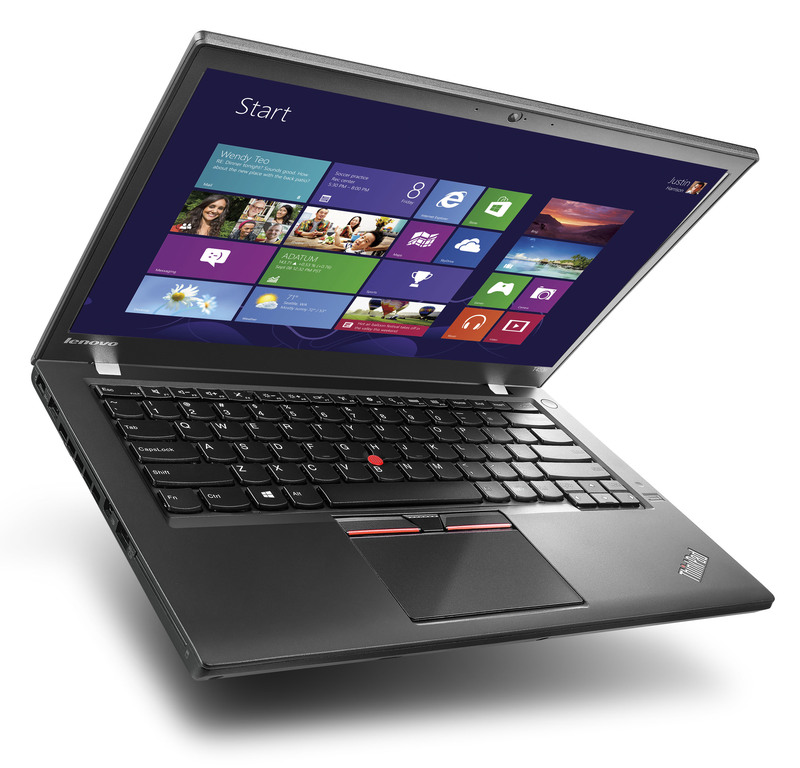 It's yet to arrive, but the unit in question is a Lenovo ThinkPad W541; a beast of a notebook if there ever was one. The ThinkPad W541 is essentially the exact same unit as the W540, but with hardware buttons atop the touchpad. As someone who enjoyed using the little red nib on previous ThinkPads, this will be a nice addition. Typically the touchpad on non-Apple devices are incredibly over-sensitive and cause a great deal of problems when someone is doing a great deal of typing. While I typically disable the touchpad with a quick keyboard command when typing, I'll be able to keep the touchpad disabled for most of the day as a result of having the hardware buttons. One of the things that I am most looking forward to with this device is its raw power. With an Intel Core i7-4710MQ processor and Nvidia Quadro K2100M under the hood, it's bound to rock the clocks. A total of four SO-DIMM slots are easily accessible, too, allowing for a maximum of 32GB DDR3L RAM. Naturally, the device does ship with SATA3 connectors as well as a handy little M.2 SSD slot. I plan on putting these to great use with some extra hardware I picked up. Employers tend to frown when employees upgrade hardware, so I'll hope that none of them ever visit this website. 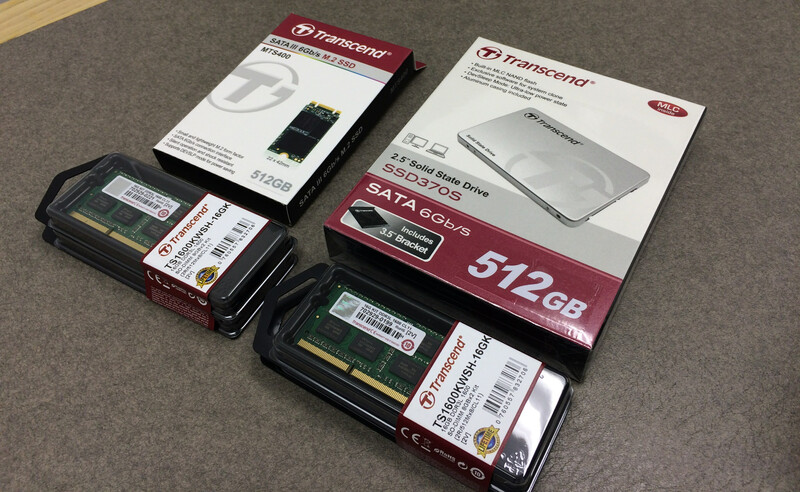 That said, once the upgrades are in place, the notebook will have 32GB of memory and a terabyte of SSD. The original hard drive will have its partitions imaged and thrown into a VM, while the base operating system will be Ubuntu 15.10 this month, and 16.04 when that drops next month. This notebook, in addition to the MacBook Pro I'm currently writing this on, will be wonderful little machines to run Linux on as I continue to make the transition from Apple's ecosystem to Canonical's. After months of deliberation and see-sawing, a decision has been made with regards to what hardware I'll replace my MacBook Air with, and what software will power the machine. This wasn't an easy choice, as there are always a hundred variables to consider when thinking about whether to leave one software platform for another, but this post will hopefully walk through some of the mini-decisions that lead up to the big decision: buying a nicely-loaded display-model MacBook Pro and migrating to Ubuntu. At the start of this journey, I wanted to move away from Apple's insistence that I never open or otherwise upgrade my hardware. Not being able to add RAM at a later date or throw in a larger SSD drive grated on my nerves. If anything happened to the notebook, I'd be completely at the mercy of Apple or dependent on people selling function bits and pieces from their broken Macs. Months of research has shown that a lot of hardware manufacturers are also making their notebooks into appliances. The models that are not appliances require making compromises in screen quality, keyboard comfort, or general build quality. There are a couple of really good notebooks out there from Lenovo and Hewlett Packard but, like Apple, the best units were appliances. 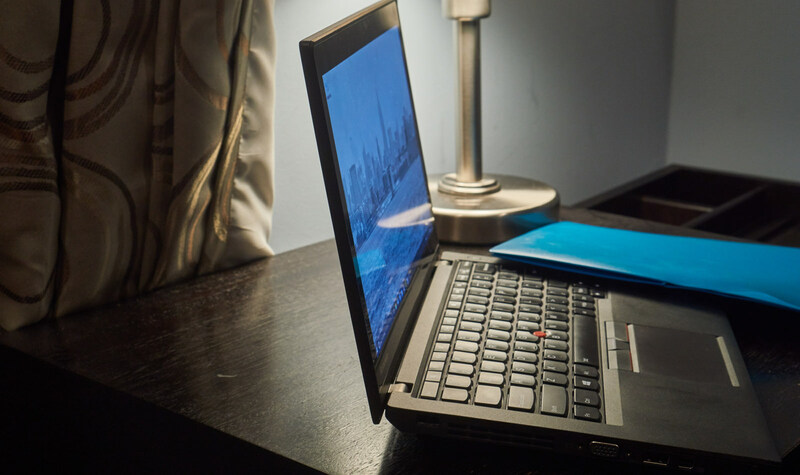 Lenovo's X1 Carbon notebook meets every requirement, but is completely closed. The same can be said about Hewlett Packard's Spectre X360. Lenovo's ThinkPad T450s and the newer T460 have a lot to offer despite being wrapped in plastic but, at the end of the day, there were two things that swayed me towards the MacBook Pro. It's this second item that really pushed the point. While it's certainly possible to run OS X in a virtual machine, there is a lot that can go wrong during a software update. It's better to have a proper Mac to run the software natively when working on projects that cannot easily be done with Linux software … just yet. So with the decision to pick up yet another Mac out of the way, next comes the question of what software platform to run. It's true that I can do everything I want to do on OS X, and it wouldn't be too much of a stretch to return to Windows. As I've said on numerous occasions, I do like Windows 10 quite a bit. It's the best OS Microsoft has put out. 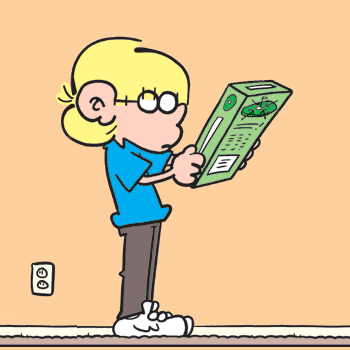 That said, I do not like the sheer amount of information that silently leaves my computer to feed a server somewhere in the cloud. I want greater control over this. With OS X I have routed a lot of traffic to specific servers to 127.0.0.1, but that's not enough. There is still too much data going elsewhere. I want it to stop … as crazy as that may sound. After testing a number of different versions of Linux, including the standards (Red Hat, Debian, SuSE, Cinnamon, PureOS, and the like), I've settled on Ubuntu. Canonical's OS has had it's share of concerns with regards to data leaving the system, but updates have been making the platform much less dependent on external services. Ultimately, I plan on locking the system down and having it only use my own servers for data synchronization and other useful features. Anything that requires a third-party server, such as software updates, will need to be explicitly granted permission to run. As one would quickly surmise, this will create a number of problems right off the bat. Without using the common tools that are trusted by millions around the world, I'll be taking a step back from modern computing and intentionally giving myself a hard time. Ubuntu has a lot going for it, though, so the pain points will really come down to doing the creative things. Podcasting and image editing being two items that spring immediately to mind. That said, where there's a will there's a way, and I've already started developing some tester Ubuntu applications to see just what the platform can do. OS X for "creative work"
Ubuntu for "work work" and writing software to do "creative work"
Over the next year or two, I'll make the transition from a commercially-supported software platform to an open one, and the software I develop will be freely available for others to download and contribute to. This is the plan, anyways. Oluseyi Sonaiya joins Keita and Jason to add some balance to the subject of changing from an Apple-based ecosystem to one that is much more Linux-y. We talk about ultimate goals, problems within the software development process, hiccups that will undoubtedly be encountered, and a whole lot of food for thought. Keita gets to reference Star Trek, and Jason manages to get not one, not two, but three rants in while Oluseyi patiently shares some of his sage wisdom. Keita and Jason start to get more meta than usual by discussing the pros and cons of going with a particular platform. Along the way there are a number of diversions and even a bit of follow up where Jason — once again — flip-flops on whether to invest his money in a brand new Lenovo ThinkPad T460s or a three-year old, fully loaded MacBook Pro. There are strong reasons for both hardware options, but only one can be chosen. There's a lot more to it than these short lists, of course, and we discuss them with varying degrees of success. If you were Jason, which notebook would you go with? The 2013 13" MacBook Pro with a 4th Generation Core i7 processor, 16GB RAM, and a 256GB SSD or a 2016 Lenovo ThinkPad T460s with a 6th Generation Core i5 processor, 8GB RAM (initially), and a 256GB SSD alongside a 500GB spinning disk hard drive? A great computing experience can be measured by the quality of the hardware and the quality of the software. A well-built machine can be hobbled by buggy, inconsistent software tools. This has been seen time and again over the years with various devices that were ahead of their time but limited by the code that ran the system. The inverse is also true. Great software can be handicapped by insufficient hardware. As Keita and I continue our discussion on whether we should change platforms from Apple's OS X to something else, we turn our attention to the realm of software … with a little Kerbal Space Program thrown in for good measure. Over the course of 50 minutes we talk about the various text, image, and audio editors that are out there as well as why we like or dislike some of the Linux-based alternatives. This aside, there's no way either of us can know about every single piece of software that's available to people using some flavour of Linux so, if you know of an application that makes a seriously positive impact in your day-to-day on Ubuntu or other Debian port, just let us know! Of course, if you prefer some other flavour of Linux, that's cool. We still want to hear from you! 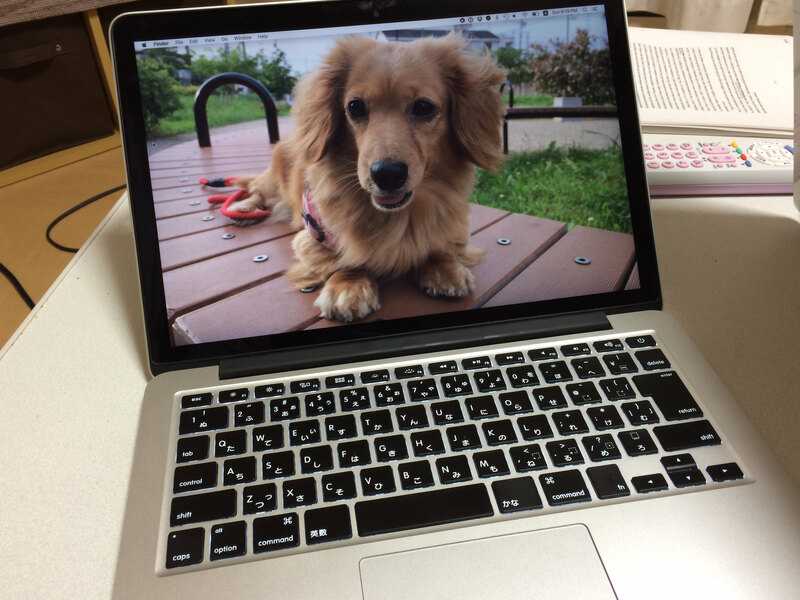 I've sold my MacBook Air! Every notebook that I've considered on this site so far has been a new machine with some of the fastest processors and storage devices available on the market. But is this an absolute necessity? Sure, having something close to top-of-the-line is a lot of fun and can open new doors when it comes to accomplishing more demanding tasks, but does it make sense to invest in something new for a "what if" that might happen just a handful of times per year? My primary machine at the moment is a 2014-era 13" MacBook Air. Its processor has been able to keep up with 95% of my demands thus far, and the storage is certainly fast enough to handle a lot of what I throw at it. Perhaps something a year or two older would work just as well for me. One benefit of going with an older unit is the instant cost savings, as used machines typically sell for a lot less than a new unit. I've had my eye on a few used machines at the local Sofmap, a retail store that sells used machines. As one would expect, the machines do show some signs of wear on the keyboard and the screens might even be a little less clean due to their contact with the keyboard when closed. There are some store display model notebooks available, though, which have never actually left a retail store and are in immaculate condition. This may be the better way to go. My first MacBook was bought like this. It was a store display model that had been touched and played with by thousands of people over a few months. The machine was never asked to do anything even remotely taxing, and it was given a thorough cleaning afterwards before being put back into its box for sale at the other end of the store. I saved 40% off the price of a new unit by going this route and was quite satisfied with the decision. What sort of advantages would I have by buying new? Are these three things really worth the extra money that would be spent to acquire a brand new machine? One of the biggest reasons Keita and I use OS X is because of the hardware quality. Apple just makes better stuff than the competition. If we were to get our hands on hardware made by a different company, who would offer the best value for the money? Which machines would give us the better quality and design? Sadly, there aren't very many choices out there. Non-Apple notebooks with great screens often have horrible keyboards, or machines with great keyboards have terrible screens. Finding the best balance is as complicated and frustrating as finding a Wayne Gretzky rookie card in mint condition. Keita and I discuss some of our choices and what we're looking for from the hardware we use. From sticking with Apple to going all Lenovo to considering Hackintoshes, we cover the gamut and come away with just as many questions as we started with. That said, it's a good listen, and we'd love to hear some of your thoughts on the subject. When thinking about switching platforms it's important to think about hardware. In fact, hardware is one of the most important elements when it comes to making the leap from one type of system to another. 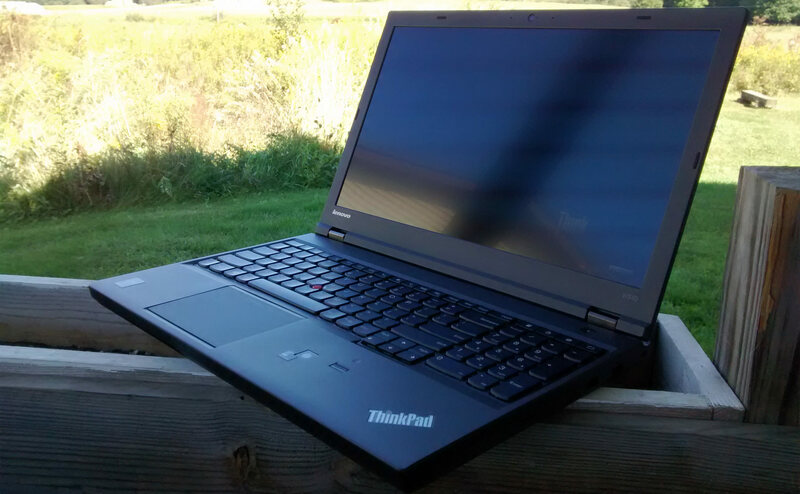 Two months ago, when I was just setting out to research machines that might make excellent Linux notebooks, a friend of mine recommended I take a look at the Lenovo ThinkPad x250. Having already looked at three other Lenovos beforehand, I figured there was nothing wrong with examining a fourth. 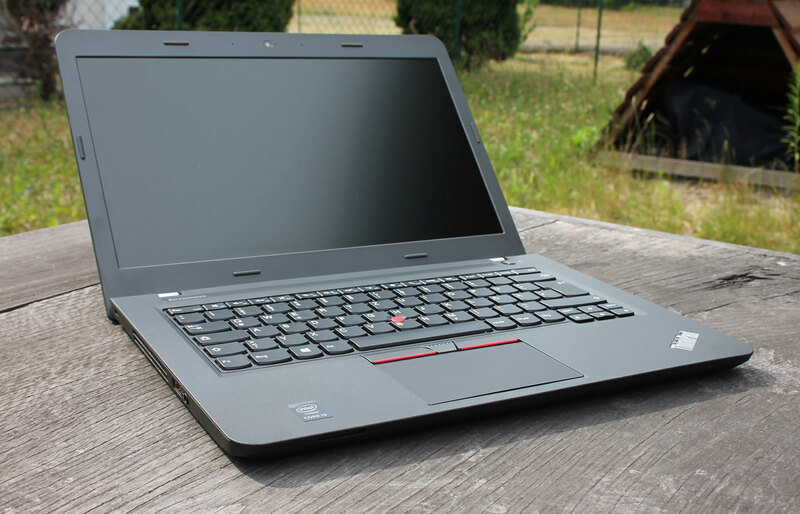 This was the smallest of the bunch, and one that I've had some experience with in the past: the Lenovo ThinkPad X250. Now, by some experience, I mean that I had used a rather sluggish X210 many years ago. The notebooks have come a long way since the days of Core2Duo processors and spinning disks. The X250 models are nothing like the earlier devices I remember. I had the chance to examine one of these up close and personal today. The display model had an i7 processor and 8GB RAM, which meant that the bare Windows installation was snappy and ready to respond without a moment's notice. The FHD (1920x1080) screen was pretty good and, while the colours were dull and muted compared to the HP Spectre x360 Limited Edition that sat 5 meters to the right, the few minutes I spent navigating the text editors and typing rows upon rows of text at high speeds were not at all hindered. I'm typically quite picky about contrast ratios and brightness levels, so this might be a good sign. That said, the notebook was awash in the harsh fluorescent lighting of a big-box retailer. Actual usage might be better. When I was first asked about the 12" notebook, I had scoffed at the idea of using such a small device. The 11" MacBook Airs are potent machines, but everything feels far too cramped on the screen. I figured the same would be true for the X250 as the specifications show it's narrower than the X210-series machine I had used in the past. That said, with the FHD screen installed, the notebook actually feels pretty good. The keyboard is what one would expect from an X-Series ThinkPad, being solid and responsive, and there's no noticeable flex when hammering away on the keys. This last bit is quite important as keyboard flex is one of the main reasons none of the Microsoft Surface devices made it on my list despite having the same physical screen size as the Lenovo unit here. After-market expansion of the ThinkPad X250 isn't great but it's not too bad, either. A single RAM slot can support up to 16GB of memory and, like the T450s I examined a few days ago, there are two M.2 SSD slots in addition to a standard 7mm 2.5" drive bay. This gives the little unit a heck of a lot of potential when it comes to storage. That said, just like the T450s, having two M.2 SSDs installed means ditching the internal wireless card. This isn't too bad if you rarely use WiFi. Some other nice additions include the fingerprint reader and an option for a backlit keyboard, something that I value despite not needing to look at my fingers while typing. This notebook really does comes across as the little machine that could so, just to see how much a nice upgrade would cost, I picked a model that ships with an i7-5600U CPU, 8GB of RAM, a nice FHD screen, fingerprint reader, better WiFi card, a backlit keyboard, and both a decent front and back battery. Total damage worked out to 143,078円 (about $1,250 USD as of this writing). Going with an i5-5200U instead, which is plenty for most of my current needs, would lower the price to 116,122円 (just over $1,000 USD), leaving some cash left over for some after-market upgrades … an M.2 SSD and better 2.5" storage device to be specific. All in all, Lenovo's X250 is quite the capable little unit that packs a mighty punch in a tiny package. I was mostly impressed by what I saw in the store and would likely get a lot of use out of this machine so long as it shipped with a FHD screen rather than the WXGA travesty that the lower-end models are equipped with. While I haven't yet made a decision about what kind of computer to buy next, this unit here is a strong contender. When thinking about switching platforms it's important to think about hardware. In fact, hardware is one of the most important elements when it comes to making the leap from one type of system to another. When I first embarked down the road of replacement systems, I was hoping to cajole some managers at the day job into buying the machine I wanted to use at home. This would allow me to test the machine on someone else's dime and, if I liked what I found, I could go and purchase my own computer of the same model. Unfortunately, that plan was kiboshed when it was determined that this particular machine was not available through business channels. The notebook in question, of course, is the Lenovo ThinkPad E460. The 'E' in E460 means that this machine is targeted towards the Education sector, and it certainly feels like something a company might try to sell to a school or small business. Unlike the T and X series notebooks, these units do not see a lot of post-manufacture cleanup. It's not uncommon to find plastic or metal burs at various cutout points on the case, and the USB ports might not even properly line up with the holes cut into the case. The screen is dimmer than most of the other machines sold by Lenovo and the keyboard, while perfectly usable for short bursts of high-speed typing, is clearly something that was designed to do the job rather than do the job well. So, if this machine is such an economical device that it stands out as being a cheap device, why would I be considering it? The upgrades, of course. The E460 does have a FHD (1920x1080) IPS screen option to replace the horrid WXGA (1366x768) resolution that just won't die. On top of this, the machine does have a very potent processor under the hood and can (unofficially) support up to 32GB of DDR4L RAM with it's two human-accessible DIMM slots. Like most Lenovos, the hard drive is replaceable with a performant SSD, and it can all be installed in under 10 minutes assuming you don't mind running the risk of breaking a bunch of thin plastic hooks that lock the bottom panel into place. So, despite it's outward appearance, it's what's inside that attracted me to this device. That said, it's also what's not inside this device that later took it out of the running. After being very impressed by what the Lenovo T450s has to offer, I dug around online for the specifications sheet for the E460. I wanted to know if this machine also supported the M.2 SSD devices and, as one would expect from a budget machine, it does not. In addition to this, there's no backlit keyboard option, very few OS options, and a piddly 1 year warranty, which says a lot about Lenovo's confidence in the machine. Although the unit does have a discrete graphics card in the form of an AMD Radeon R7 M360 with 2GB of memory, reviews all over the web state that the Intel integrated graphics chip is faster and more performant … which defeats the whole purpose of having a dedicated graphics card. That said, I decided to see what sort of price tag I might be looking at after making some upgrades to the base unit. For 123,930円 (just under $1,100 USD) we can have an i7, Windows 10 Pro, a fingerprint reader, 16GB RAM, a 1920x1080 FHD screen, a 192GB SSD, and an upgraded 802.11ac/a/b/g/n 2x2 wireless card. That's a lot of bang for the buck … but I don't think this unit is for me anymore. Maybe it was a good thing the powers-that-be at the day job were unable to get their hands on this particular machine. Because while I haven't yet made a decision about what kind of computer to buy next, this unit will not be on the short list. When thinking about switching platforms it's important to think about hardware. In fact, hardware is one of the most important elements when it comes to making the leap from one type of system to another. 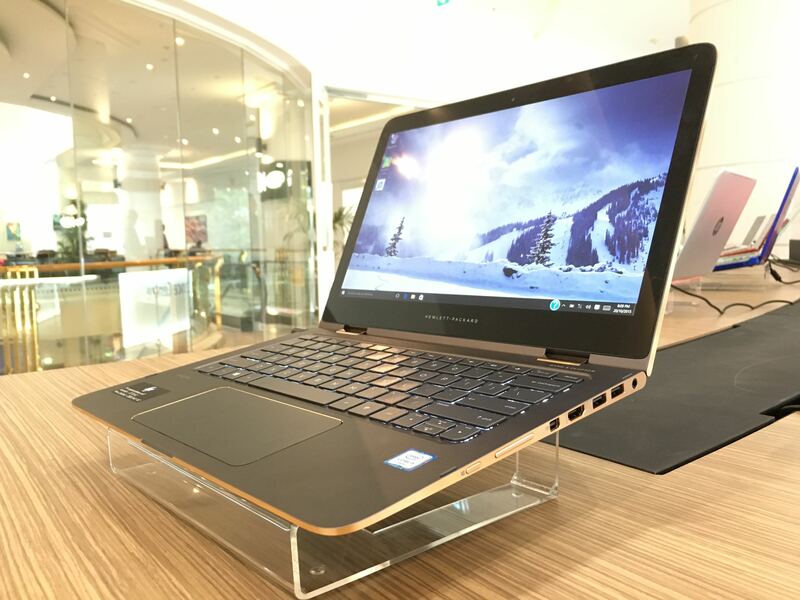 In this post, I plan on looking at one of the systems that has recently caught my eye due to its stylish looks and wonderful screen: the HP Spectre 13 x360 Limited Edition. Between 2002 and 2009 I was a die-hard fan of Hewlett Packard machines. They were built better than the competition, more expandable, and easy to fix. Their business models shipped with an excellent keyboard and screen resolutions that were almost unheard of at the time. That came to an end in 2010, though, when my 6 year old notebook was in need of some rather serious repairs and I started looking at alternatives. None of the Hewlett Packard notebooks being sold in 2010 were worth spit. The same can be said about the units sold in 2011, 2012, 2013, and 2014. Their "Envy" line had some decent hardware specifications, but these were clearly just samsungs — obvious facsimiles — of Apple's MacBook Pro line. The HP Spectre does take a lot of design cues from Apple, but it's also different enough to attract stares of appreciation. The Spectre 13 x360 Limited Edition is both a mouthful, and a sight to behold. The first thing that caught my eye while walking through one of the big-box retailers in town was the brightness of the screen. It beckoned me like a moth to a flame, and I just had to head over to take a look. What's interesting about the Spectre line is that it's one of HPs "convertible tablet" models. Meaning that you can flip the screen right around and carry the machine around like a bulky iPad with an exposed keyboard on the back … an ill-considered decision that a lot of manufacturers seem to enjoy for it's relative simplicity. That aside, the 13" screen on this machine is beautiful with it's 1920x1080 resolution and awesome contrast ratios. Blacks look really black, and colours are vivid and lively, just like one would expect to see on an Apple device. That said, there are some show-stopping problems with this particular device. In Japan, there is only one configuration available to customers, and it means being limited to 8GB of motherboard-soldered RAM. The US models do have a 16GB option, but not with a Japanese keyboard; something I consider to be quite important. On top of this, the keyboard doesn't have a very satisfying feel when I'm trying to type at speed. More often than not, the [Shift] key is a little slow to release and I wind up typing two or three capital letters at the start of a sentence before the key releases on its own. I could solve this problem by slowing down … but why should a human slow down for a top-of-the-line machine? The machine can be had with its lovely screen, 8GB RAM, and a 256GB M.2 2280-type SSD for the reasonable price of 129,800円 (about $1,150 USD as of this writing). All in all, this is a very good price considering what's under the hood. The machine looks more unique than an entry-level MacBook Air, has a much better screen, faster 6th-generation i5 processor, ships with more RAM, and can be used as a tablet for people who are good at holding devices in such a way that they don't accidentally press keys while doing something else. The gold trim is absolutely gorgeous, and the keyboard won't be too much of a problem for people who don't type quite as aggressively as I tend to do. While I haven't yet made a decision about what kind of computer to buy next, this unit here gives me something to think about … so long as I can deal with the keyboard and lack of RAM expandability.